Do you manage a large website? In the long run, it will overwhelm you. It is the time to, outsource some of the tasks such as website design, writing, editing and posting of content, etc. 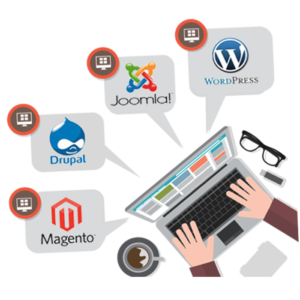 Using CMS solutions for management of your one or more websites is one of the best ways. You use them for web content management (WCM) and enterprise content management (ECM). There is no limitation for factors to consider before any organization decides to invest in a particular CMS. Intelligent search capabilities and easy to use editor interface are basic functionalities to consider alongside specific requirements for a website. WordPress is an open source that does not require an operating license. A community of contributors consistently enhances software by creating plugins and themes. It is customizable to fit individual needs. It is one of the widely popular content management systems because of flexible tools and simple to use interface. There is also standard add-ons necessary for any content management systems including blogs, site maps, email help forms, graph and chart generators. WordPress has a labeled dashboard that enables users to customize tools for personal business needs including third party add-ons and plugins. Inventory management, shopping carts, point-of-sale systems and affiliate tracking are some of these features. 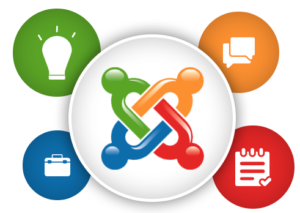 Joomla is a CMS and website builder for setting up an online presence, publishing content for better content sharing and blog management. Its design is favorable for developers with some coding experience. There is a broad selection of commerce add-ons thus working well for a company intending to step up a basic website to something with more appeal, interactive, unique and professional. The business add-ons are not extensive as those with other CMSs but are all free. It is easy for you to use Joomla for an e-Commerce site with a point of sale systems, affiliate tracking, inventory tracking and shopping carts. Magneto is a basic platform suitable for start-up tech-savvy entrepreneurs and small businesses planning to begin building a brand new website. It also supports multiple languages and currencies making it a good choice for anybody with international customers. The dashboard is easy to navigate. Magneto offers a wide selection of templates to choose an option to create more. You can set up one store or many even with different languages to fit their locations. You may also add general content pages and format each to meet needs of your content. If you are not a coding expert, there are over 150,000 developers you can consult through Magneto community forums. Additionally, trained solution partners and professionals are providing technical consultation. A popular content management system for helping advanced designers to create compelling sites for handling hundreds of content pages and larger visitor volume. It is very flexible, and you use it to create a simple blog or an interactive and impressive business site making it a super solution for a website with ever-changing needs. Drupal may not be the CMS for amateur designers, but it has worth solutions for content management programs including add-ons and plug-ins. These include live chat features, shopping carts, and inventory management and help desks. Drupal has tools for managing documents, tracking projects and creating reports. An active community support offers an opportunity for consulting. WebGUI is an open source CMS with many add-ons that individuals, businesses, organizations and government agencies of all sizes can use to create and manage online content. It has a huge tool set. Wealth support options are unique to it. Another unique feature allows users to customize the interface to match skill level by an administrator.Content management tool helps users to store and share information about clients safely. A document management feature will allow you create content and store it virtually. WebGUI design helps to save time with real-time collaboration such as versioning. It also has tools in other CMSs for e-Commerce and business such as POS systems, file distribution and shopping carts. There is an active community on WebGUI, several personal blogs, and websites with codes from numerous add-ons. It also offers email and telephone support. Many people performing quick website creation use open source programs as they have lower costs and license free. Closed source content management systems require an access fee of $200 to $1000 hence out of reach for those who are just starting up. It is essential to invest in add-ons and security programs to operate together with content management systems after using license free open source CMS to prevent security breaches.